Lake Front Cottages on Lake Hamilton in Hot Springs. Whether it’s time for some family fun in the sun, overdue relaxation time, a fishing trip, watching the ponies run at Oaklawn, a family reunion or just a week hiding out from work Knollwood Lodge is the place to be. 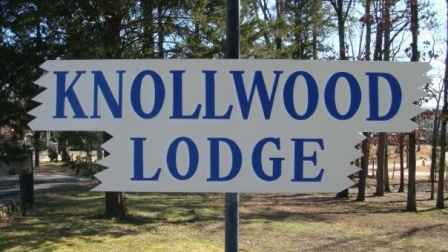 Knollwood Lodge was a fishing camp that was built in the 1940s and 1950s. Our cottages are spaced for privacy. They feature cable TV and furnished kitchenettes. Grills and smokers are available. We have a private boat ramp, big sanded beach for Great Swimming, and a play area for the kids. Fishing guides are also available. We are only minutes from beautiful downtown Hot Springs, Oaklawn Race Track, and Magic Springs. For more information on Hot Springs go to www.hotsprings.org. For availablilty and reservations call us at 501-767-9231. For more images and other "Stuff"